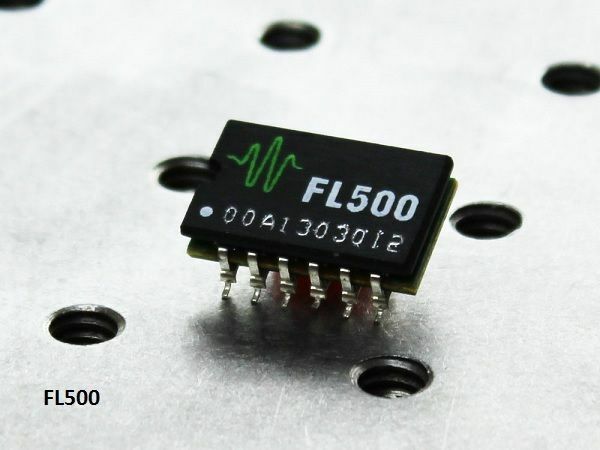 Small size: 0.75" x 0.45" x 0.255"
Low leakage current (150 µA) makes it ideal for driving most VCSELs. It operates from 3 to 12 V, so it is compatible with Li+ battery operation. It can be configured as two totally independent 250 mA drivers or a single 500 mA driver. Compatible with Type A or B laser diodes. Because of it's small size and low noise, it is often used in handheld devices and spectroscopy systems. The base unit operates in Constant Current (CC) mode. The only external components required are a power supply, an analog control voltage, your laser and optional filtering circuitry. 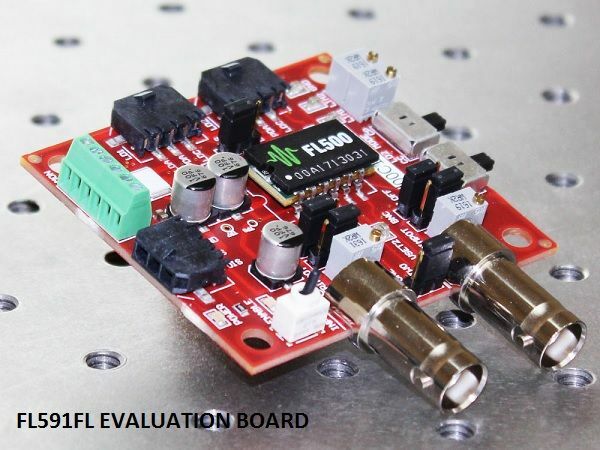 For additional features, including current limit and photodiode feedback for Constant Power operation, use the FL591FL evaluation board with controller.